This year I am going to be maximising my time in Bulgarian terrain before JWOC. The Norwegian team has offered me a spot on their training camp in Bulgaria, from 30th June to 5th July. In 2012 I was on a training camp in the Czech Republic with the Norwegian equivalent of New Zealand’s D-squad. This similar week will be a chance to get in the high intensity training in the terrain, because it is far enough away from JWOC to recover from in time. 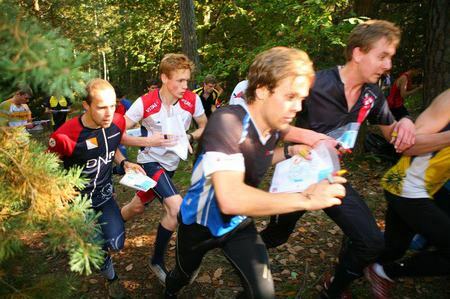 Orienteering technique at race pace is very different from just jogging with a map, so it is important to experience both in the terrain. Training races, o-intervals and tempo runs will be the main focus of the training here. After this camp I will stay in Bulgaria and head out to some more maps with the some of the Australian lads. This will give me a chance to solidify my technique and fix up any errors I am making. The training load and intensity will drop here, giving way to physically easier training sessions. Finally, in the last week before JWOC, from around 12th July, I will meet up with the rest of the New Zealanders for the official JWOC training week. By this stage, I should hopefully have technique sorted and be extremely comfortable in the terrain. The training sessions on maps here will just be about polishing everything off to make sure I am running smoothly. I will be further cutting down on training load here, to be fully recovered for the JWOC competition week. It is very important to not over-train in this final week, but I think it is a common mistake we New Zealanders make. It is too easy to be caught up in the excitement of everything and forget to rest. I am looking forward to a fun 4 weeks of orienteering in Bulgaria, and can’t wait to meet up with the rest of the team over there.